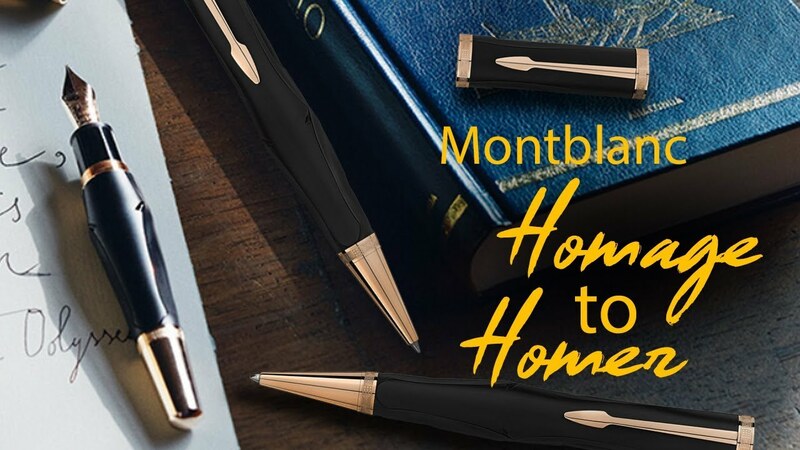 Trojan horse shaped Homer Series Pens - Montblanc Homage to Homer Rollerball Pen - Writers Edition - Limited Edition 2018 - Black as a symbol of success due to its shape inspired by the horse, with the back and clip reflecting the spear. The engraving on the cone and rings borrows motifs from traditional Greek black-figured pottery, with the overall color of the writing instrument taking inspiration from this same black Greek pottery.The Trojan horse story reveals that the cloaked horse was believed for the ultimate insured victory of Greeks. Thus, the pen’s profile is that of a stylized head and body of the famed wooden horse to symbolize the success of owner who adores it as a mesmerizing history to capture in the writing. A capless rollerball pen for pen enthusiasts.